Nobel Peace Prize winner and BU Professor ELIE WIESEL has worked on behalf of oppressed people for much of his adult life. His personal experience of the Holocaust has led him to use his talents as an author, teacher and storyteller to defend human rights and peace throughout the world. His more than forty books have won numerous awards, including the Prix Médicis for A Beggar in Jerusalem, the Prix Livre Inter for The Testament, and the Grand Prize for Literature from the City of Paris for The Fifth Son. He has written two volumes of memoirs, All Rivers Run to the Sea and And the Sea is Never Full. After the war, Wiesel studied in Paris and later became a journalist in that city, remaining silent, however, about what he had endured in the death camps. During an interview with the French writer François Mauriac, Wiesel was persuaded to end that silence. He subsequently wrote La Nuit (Night), which has been translated into thirty languages and has sold millions of copies since its 1958 publication. Since 1976, Wiesel has been the Andrew W. Mellon Professor in the Humanities at BU, where he also holds the title of University Professor. He is a member of the faculty in the Departments of Philosophy and Religion. 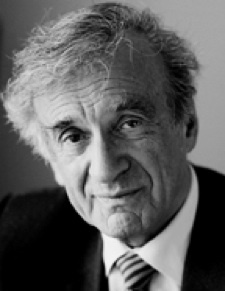 Please visit the website of American Public Media to listen to Professor Wiesel discuss the Tragedy of the Believers.